For immissions and emissions measurement technology, we are your competent partner for every project in the gas analysis sector. In addition to the sale of measuring devices and services offered by our gas and water leak detection teams, the Sewerin group of companies offers stationary and mobile device maintenance service, development of emergency and leakage service vehicles and servicing and repair of home installations. BDI develops technologies for energy generation from by- and waste products while ensuring maximum protection of resources. delivers both standardized and individually produced systems and machines for industrial washing, drying, cooling, screening and sorting. We offer numerous types of progressing cavity pumps and hygienic twin screw pumps. Under the brand marsoflex® we produce hose assemblies for the safe transport of liquid, gaseous and solid media. Sutco RecyclingTechnik is one of the worldwide largest manufacturers of treatment systems for different waste flows and offers from complete sorting and treatment plants. Design and manufacturing of urban and industrial wastewater treatment plants, purification plants, grey water reuse systems, hydrocarbon separators, as well as accessories for wastewater treatment. 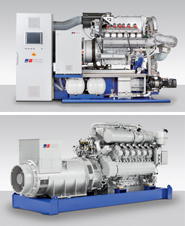 Components for the safe and reliable operation of biogas plants. We provide equipment for chemical plants, natural gas service stations, and biogas conditioning and infeed Systems. Senseair is a leading global provider of air and gas sensing technology . 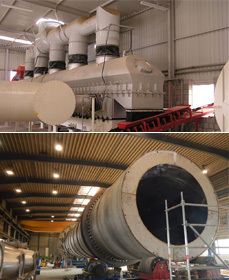 Service and maintenance of biogas plants and block heating plants. ATB is a leading European manufacturer of electrical motors and drive systems which provides on-site system integration. We offer reliable shredding technology for industrial, agricultural and residual applications starting with compact shredders up to high level shredding machines for every type of material.